RENT A HOUSEBOAT AMSTERDAM – 9 USEFUL TIPS! Over the last years Amsterdam has shown an immense growth in tourism. Occupancy rates are high and so is the cost of accommodation. Unfortunately for you, looking to rent one, houseboats are no exception. In contrary: renting a houseboat is extremely popular, especially with travelers with deep pockets. And while all agree that demand will continue to grow steadily, supply will definitely not: the city council simply does not allow any new houseboats. So anyone that knows some basic economics should know: don’t wait for any last minute offers on houseboats! Instead of that, for more choice and better rates: try to book well in advance. And even better, avoid peak times (summer holidays, Christmas holidays, … well basically any holidays, and weekends) if you can! 4. What can you see from inside your houseboat? Many of the choices we make are based on outer appearance, right? When looking to rent a houseboat you will see many favorable pictures of the boat itself. But what can you see when you’re actually on (or even: in) your houseboat? Will you have a wide canal or river view, or will you be somewhat disappointed by the unexpected presence of an industrial area or a blind wall? It’s also good to realize that many of the older houseboats only have small portholes. 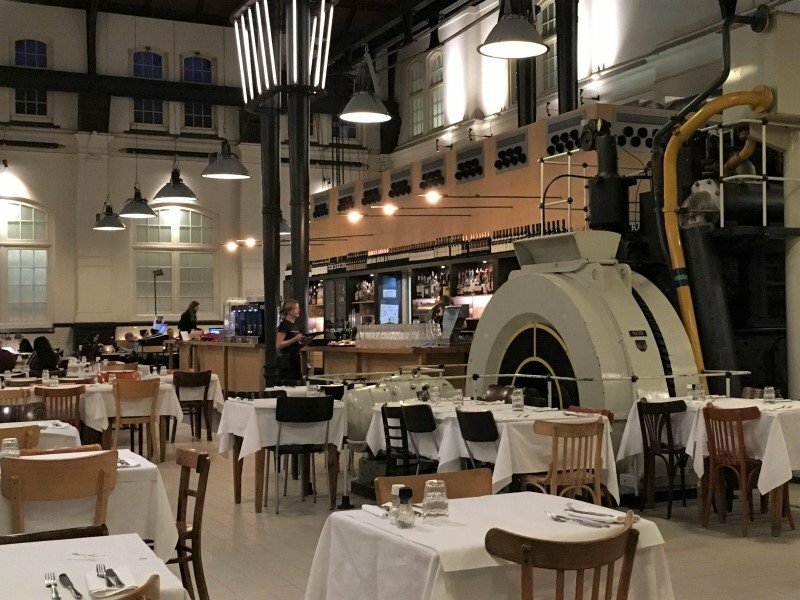 That could be a brilliant option if you’re a fan of authenticity, or if you’re a nudist… Otherwise, you might want to look for more recently build or renovated houseboats with nice panoramic windows. So you can fully appreciate the surroundings of your houseboat, whatever they may consist of. 5. Does your houseboat have an outdoor terrace? Chilling inside is good, chilling outside is better. 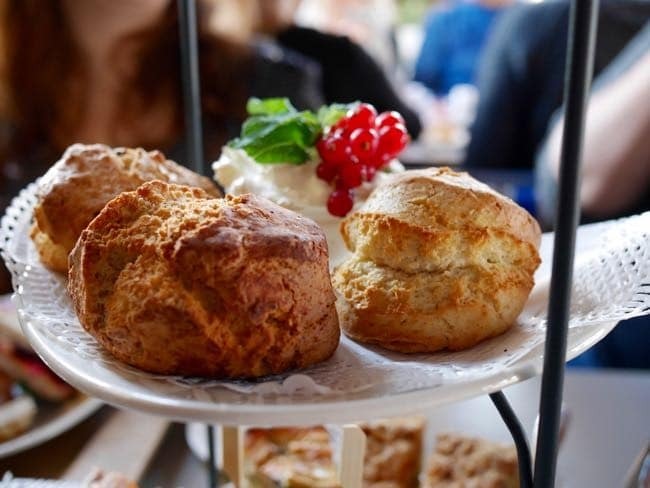 For enjoying your breakfast or for relaxing after a long day in the city, there is no better place than your own outdoor terrace. Some houseboats have one on top, others even have a nicely decorated terrace floating on the canal. Be sure to inform, if this appeals to you. 6. Do you rent the full houseboat or only a part of it? Houseboat accommodations come in all sorts and sizes, ranging from small rooms with bunk beds -for the old school boat crew experience- up to entire boats with a surface of 200+ square meters including all captain’s privileges. Apart from the type and state of the amenities another aspect to keep in mind is your privacy. So make sure to find out whether the boat is all yours, whether you share it with other tourists, or if you stay with the owners (B&B&B: boat & bed & breakfast). From the fact you’re looking to rent a houseboat instead of a regular hotel room it’s safe to make some assumptions about your preferences. Apart from being interested in the canals and authentic, original experiences, you seem to be open for some adventure, away from the mass tourism and a little of the beaten track maybe? Then you qualify for renting one of our electric canal boats. The best way to explore all the other canals in town! If you haven’t booked you private boat rental yet, this is the time to do so! Our last tip is the Amsterdam Botel, which is not a houseboat but a large boat turned into floating hotel. Here you will also definitely get the experience of staying on a boat, combined with the usual hotel amenities and service. The location is at the popular and lively NDSM-Wharf, some 20 minutes by free ferry from Central Station. Highly original are the modern letter shaped accommodations on top. 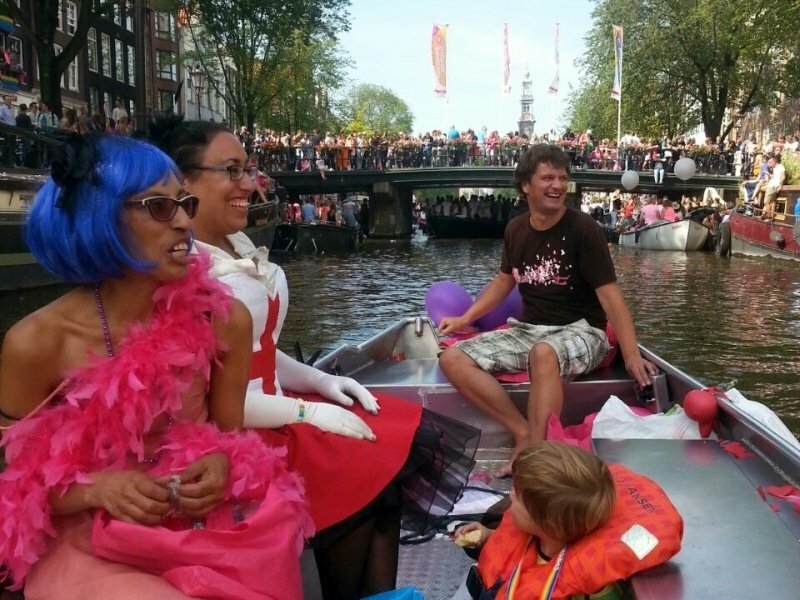 We hope this article has helped in your orientation for renting a houseboat in Amsterdam. 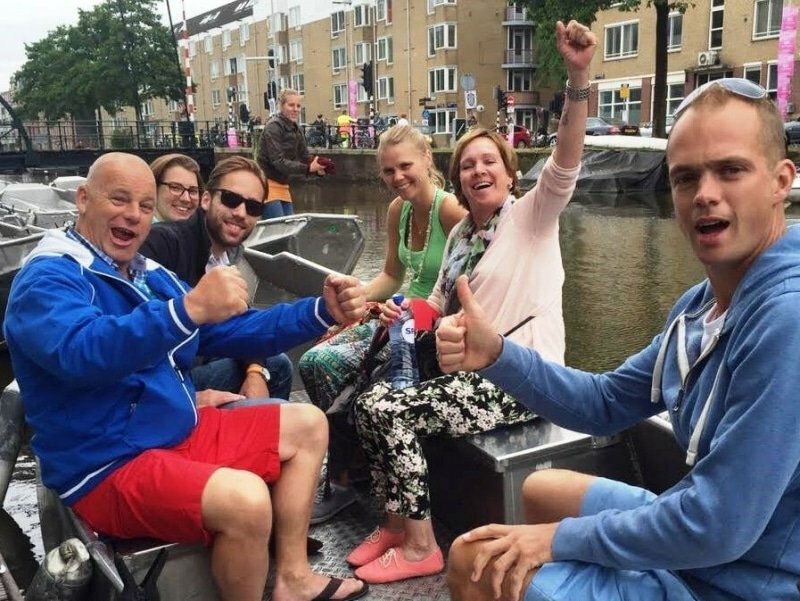 We wish you a good stay in Amsterdam, and we also hope to welcome you at our boat hire! 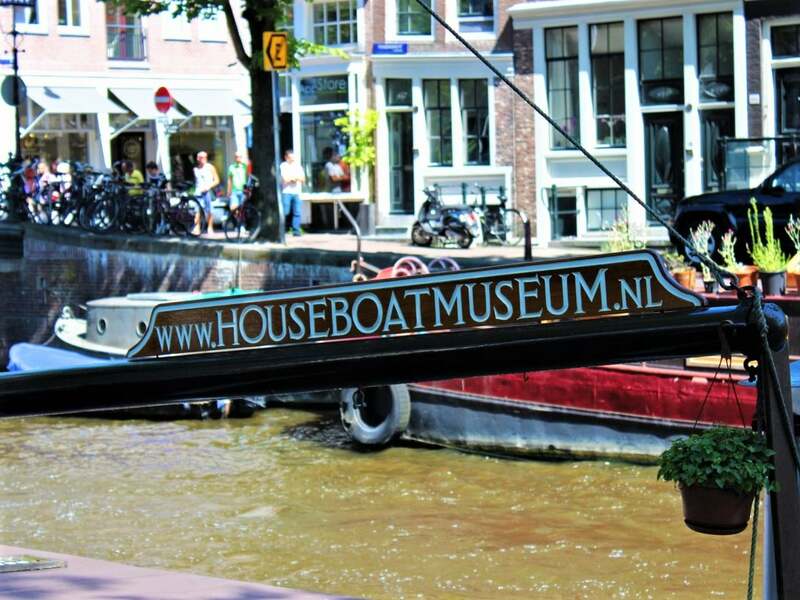 We hope this article will help you finding the right houseboat for you in Amsterdam. We wish you a good stay! And while you’re there, we hope to welcome you at our boat hire!